With a career spanning seven decades, numerous hit singles and consistently tasteful album releases, Gene Watson is one of the greatest, and most respected, country music artists, the world has ever known. Election to The Country Music Hall of Fame is the highest honour an artist can be awarded within the country music genre. The Country Music Hall of Fame recognises persons who have made outstanding contributions to the country music genre over the lengths of their careers. The Country Music Hall of Fame honours performers, musicians, songwriters, promoters, music publishing, broadcasters and others in the music industry, reflecting country music’s stature as both art and enterprise. It is difficult to imagine the world of country music without the vast contribution which Gene Watson has made to it. Although Gene Watson made his major record label debut on Capitol Records in 1975, it must be emphasised that Gene was working regionally as a singer as far back as the early 1960's; he did enjoy his first single on local radio in 1961, hence his impressive 50 years in the country music business. So, Gene Watson's 'start' in country music didn't begin with Capitol Records taking him onto their roster in 1975, commencing the career we know today; Gene Watson's career in country music had already commenced in the early 1960's when he began to hone his craft as a traditional country music artist. Gene Watson may be 74 years old, but he continues to make amazing music, releasing a new collection of music approximately every two years, while many artists his age don’t record anything like that amount, and he still tours constantly. 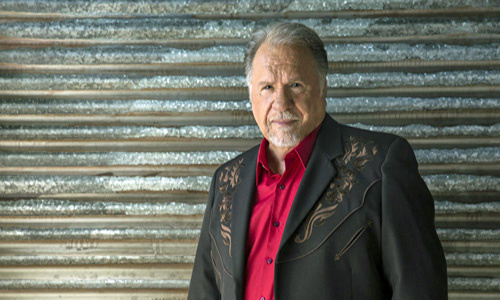 Gene Watson has been entertaining his fans, recording on a regular basis and touring constantly for the best part of 50 years, and continues to do so. Between his major record label debut on Capitol Records in 1975 and the present day, Gene Watson has excelled with his traditional slant within country music. Gene Watson is a singer in country music's grand tradition and has the skill to give powerful vocal performances and draw all the emotion from his selected material effortlessly. Gene Watson has remained true to his Texas music roots for more than 50 years and is a standard bearer for honest, traditional country music. Following years of honing his country music craft around Texas, Gene Watson emerged on the American country music scene in July 1975. Gene Watson immediately earned himself a reputation as one of the best of the new 'real country' singers to emerge on the scene and for adhering to a traditional country sound, characterised by prominent steel guitar and swirling fiddle. Gene Watson is truly a 'Lone Star Hero', not just within the state boundary of Texas, but also across the United States and around the wider country music world. The music of Gene Watson is part of the very constitution of country music. It is in Gene Watson's country music recordings that the tradition of heartfelt, genuine country music is preserved for all time. Gene Watson's 'Beautiful Country' speaks for itself. It is a music of the people, for the people and ultimately by one of the people. For those of us who love traditional country music, we have a lot to be thankful to Gene Watson for. When you consider the vast catalogue of classic country songs which Gene Watson has recorded since the early 1960's, his absence from the country music world would have left a gaping hole. Of course, other artists could have recorded these tracks, but not with the same passion, emotion and genuine feeling which Gene Watson has brought to them. Gene Watson is not a member of The Country Music Hall of Fame, nor has he ever been nominated to receive such a prestigious honour. If you feel that Gene Watson should be inducted into The Country Music Hall of Fame, then please sign the petition. You are also invited to send a personal letter to The Country Music Association (CMA), stating your reasons for the Induction of Gene Watson to The Country Music Hall of Fame. Gene Watson deserves to be in The Country Music Hall of Fame. Together, we can achieve this objective for our 'Lone Star Hero'!